Home Health & Wellbeing Conditions & Diseases Why is Arthritis more common in Females? However, this belief is not wholly accurate, as arthritis initially strikes between the average ages of 30 to 60, whilst it’s not unheard of for children to develop these symptoms too. Rather, as arthritis is a progressive physical issue which flares up and down, it only gets worse with age, hence the misunderstanding. Just in case you were looking for more bad news, here it is: according to some studies, women are up to three times more likely to develop arthritis than men. Thankfully, it tends to strike women at a much later age, but when it hits, it hits harder, with female sufferers responding much less positively to treatment. So what gives? What’s up with your gender inequality, arthritis? And the truth is, nobody really knows. All anyone has for now is a bunch of frustrating theories and vague ideas about why this is happening, but for interest’s sake, let’s look at what they’ve come up with so far. Due to the wider hips of the female skeleton, some researchers have suggested that perhaps this bone alignment with the knees could be leading to additional pressure, placing these areas at a higher risk for osteoarthritis. Others believe that the tendons in a women’s lower body are to blame, as they are much more flexible in design to make the birthing process easier, and as a result, are less stable and move around a lot more. Neither of these theories have been proven yet, just by the way. Unlike the previous biomechanical theories, there is a lot more evidence to support some hormonal connection to arthritis in women. The chances of developing osteoarthritis are proven to increase substantially after menopause, and while symptoms have been shown to drastically alleviate during pregnancy and breastfeeding, the danger of developing arthritis in later life increases per each birth given. This has lead some studies to hypothesize that estrogen plays a role in the story, which would also make sense when remembering that younger women are less prone to the condition than younger men. Then again, when women have taken estrogen as part of their hormonal replacement therapy, the resulting osteoarthritis effects were so vastly different per each case, that everything has been left at yet another annoying question mark. Whilst arthritis is proven to be hereditary, recent studies have linked the X chromosome to 14 newly identified genes, which could have a position to play in rheumatoid arthritis. Considering men have an X and a Y chromosome, whilst women have two X chromosomes, this could be an important discovery in closing this disorder gender gap once and for all. Living as an overweight person is not an exclusively female concern, but statistically, a larger percent of women are suffering from obesity than men, and this condition is infamously connected to joint deterioration. The reasons why any excess of weight goes hand in hand with arthritis are varied, but generally accepted to be a combination of additional stress to your bones, continuous inflammation, and a general lack of physical activity. With so much confusing information out there which doesn’t seem to accurately point towards anything useful, what can one do to keep the evil arthritis monster at bay? According to many studies, your best defense is the same as it is with any health concern: keep a close eye on your general well-being, by maintaining a balanced diet, staying hydrated, exercising regularly, and ensuring you always get enough sleep. 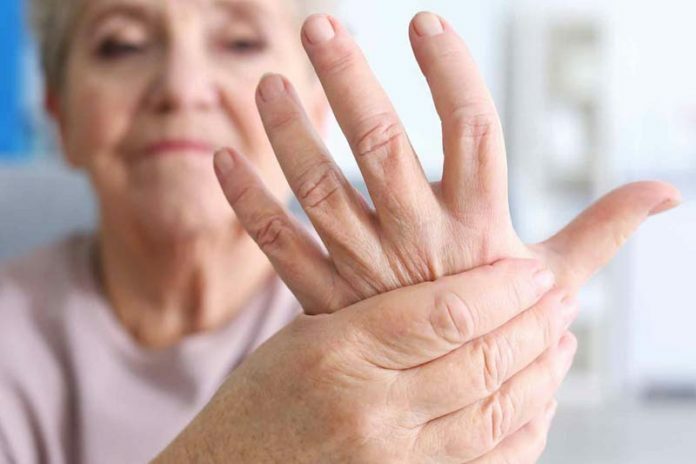 If you have already started experiencing arthritis symptoms, the key is to seek professional treatment as soon as possible, whilst experimenting with the many different pain relieving products on the market. In cases where you are concerned that your weight may be a factor, look at getting involved with low impact exercises (such as swimming or yoga) and ask around for dietary advice in order to discard some of those extra pounds, relieving this unnecessary pressure from your joints. Most importantly of all, putting on a brave face may seem admirable, but communication will assist you in discovering better ways to deal with everyday tasks. Be open with your friends and family when you are struggling, and ask for their support when you need it, as your loved ones could provide the helping hands (or knees!) you need. Why are women more prone to bone & joint problems? Arthritis, Why Do Women Get It More? Next articleHow drinking coffee before bed affects you?